Joseph Weisman was born in Schenectady, New York, in 1906. When he was a boy his family settled in Los Angeles, where he attended the Chouinard Art Institute, and would remain active for the rest of his career. He worked in the art departments of the Hollywood studios before accepting a teaching position with the Los Angeles public school system. 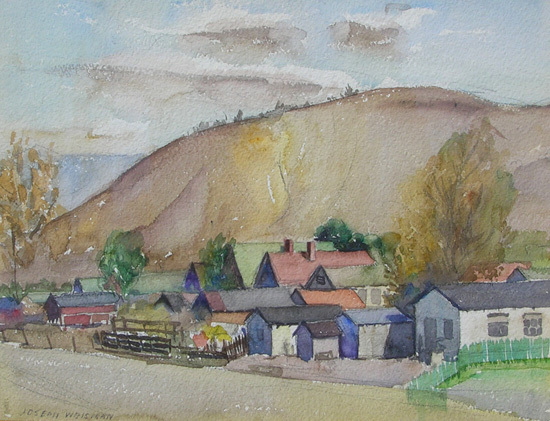 Primarily a watercolorist, Weisman is best known for his landscapes and California Regionalist works.